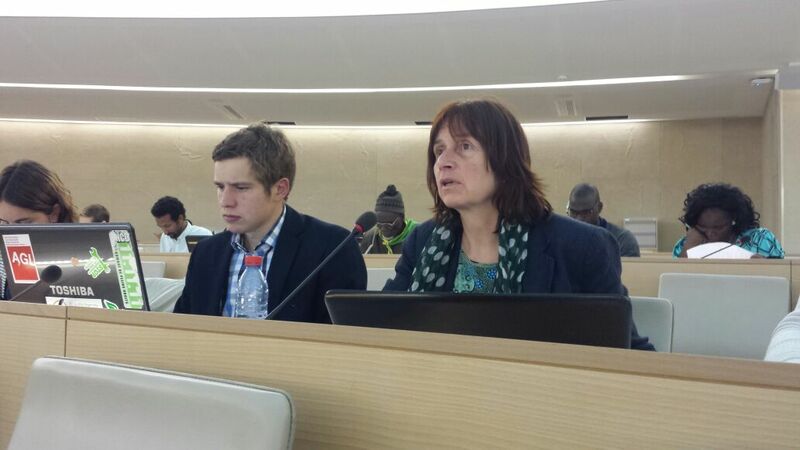 The 4th session to negotiate a UN declaration on the rights of peasants and other people working in rural areas began this week in Geneva. With this, the bottom up process to strengthen the legitimacy of the demands of rural peoples around the world has reached a crucial and decisive point. If everything goes well, the next stop could be the UN General Assembly in New York, otherwise the process could be prolonged for years. 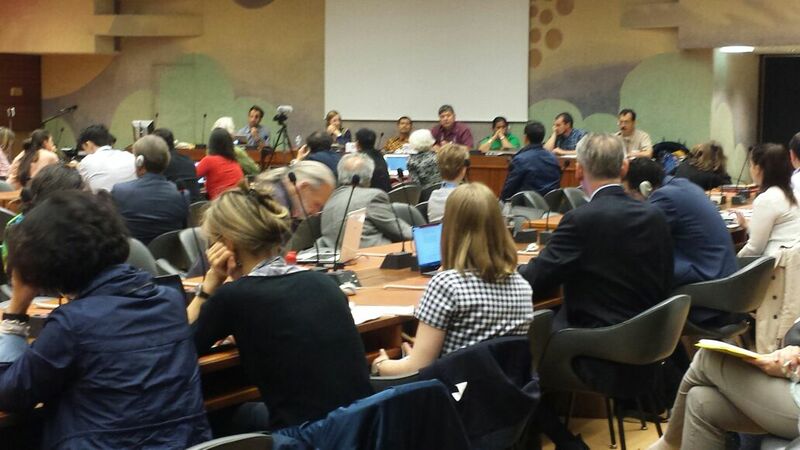 To this end, the voices of peasants and rural communities from across the world have reached Geneva. International delegations of peasant women and men and indigenous peoples of La Via Campesina -who have invested more than 15 years in this process- are gathered this week in the UN along with allied organizations such as the World Forum of Fisher Peoples (WFFP) , the International Indian Treaty Council , FIAN International , Centre Europe – Tiers Monde (CETIM) and the Comité Français pour la Solidarité Internationale (CFSI) to reaffirm the rights of peasants and rural peoples to land, water and natural resources, to seeds, biodiversity, food sovereignty, decent income and means of production, without which not only is their own existence threatened but that of the rest of society as well. All together for the rights of peasants and other people working in rural areas! Press Conference and action in Place des Nations: Before entering the UN building to defend #PeasantsRights and their Declaration the delegation held a brief action in front of Palais des Nations explaining why a UN Declaration is needed NOW. 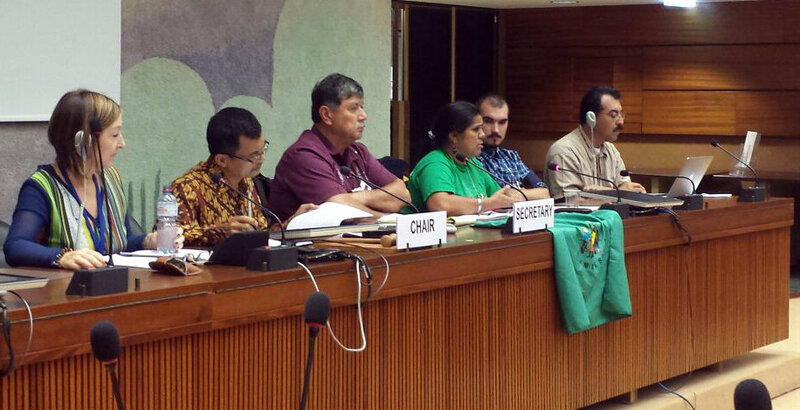 Nearly 60 members comprising La Via Campesina’s delegation, allies from NGOs, attended the day long negotiations on May 15. 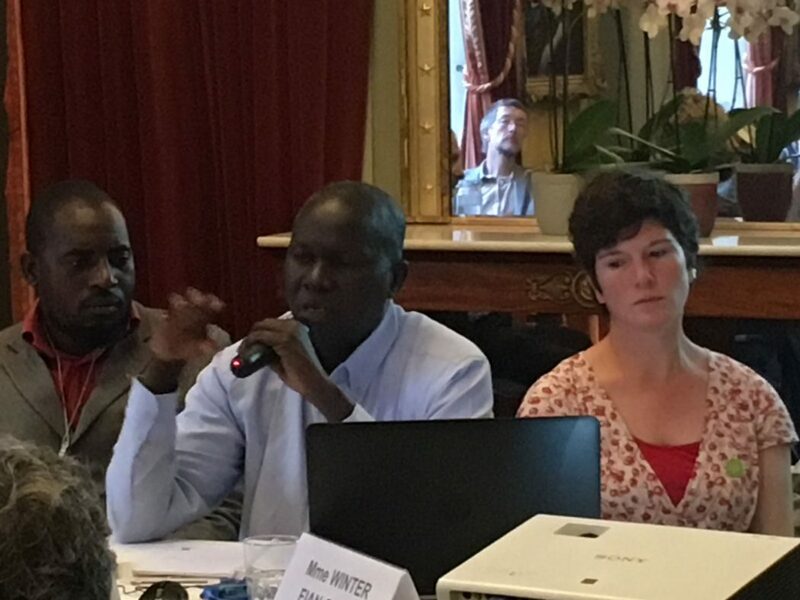 In the early afternoon a side event was held: “Collective rights: perspectives from peasants and other people working in rural areas” organized by Centre Europe – Tiers Monde (CETIM) , La Via Campesina and FIAN International. The panel presented the voices of rights holders from different constituencies, sharing their demand of recognition as political subjects and the importance of collective rights for their struggles against discriminations and the vulnerability suffered by their communities. This collective dimension corresponds to food sovereignty, to substantive elements of the rights to land, forests and fisheries’ and in general to the rights set out in the current draft text of the UN Declaration. On this second day of exchanges and discussions, delegates from the peasant movement and allied organizations shared their views on the different articles (Art. 5 through 12) of the Declaration on the rights of peasants and other people working in rural areas (27 article in total). Here are a couple highlights. “Europe is a region of the world where agriculture, stock breeding and fishing have become much more industrialized. Yet in all countries, within and outside the European Union, there is an important sector of artisanal fisheries, pastoral breeding and peasant farming which constitute a reservoir of employment, the basis of quality food and the vitality of rural areas. However, farms are disappearing with the expansion of agricultural complexes and due to income too low to live, and artisanal fishing is threatened by the disappearance of the fish stock, competition with large fishing vessels, and pollution […]. “ Genevieve insisted on the urgency of adopting a declaration gathering all the rights of peasants and other people working in rural areas and the importance for European countries to “make a strong and positive commitment in this direction”. You can find her complete intervention here (french only). “We consider that this article is very important for the peasants and workers in rural areas to access justice and judicial institutions. In this context we need to express our concerns against the use of antiterrorist laws and criminalisation of the activities of peasant movements in the process of their peaceful protests and assembling for realization of their rights. 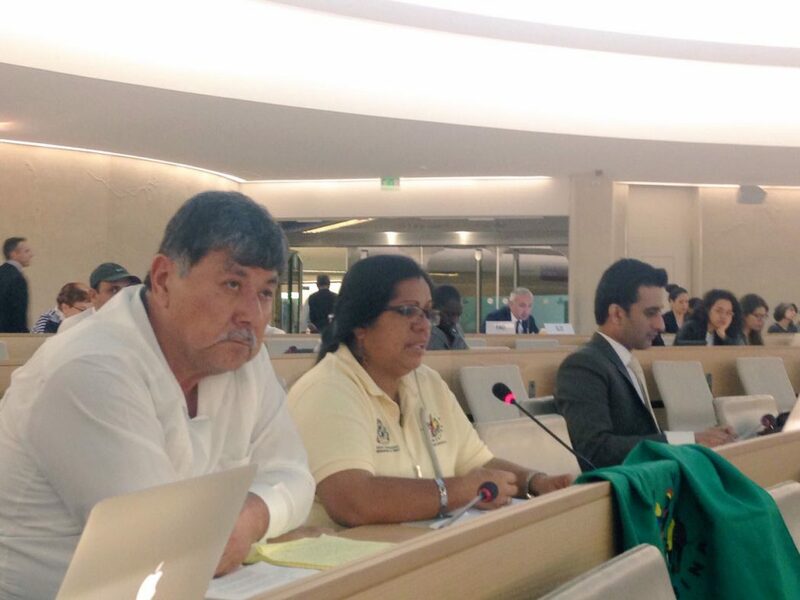 The right to Food Sovereignty – article 15- was soundly defended by all regions of the world of La Via Campesina. In their statements representatives of rural populations from Africa, Asia, North America, Latin America and Europe asked for this right to be strengthened. Being a a precondition for other rights and a precondition to food security, this article is perhaps one of the most important ones of the Declaration. 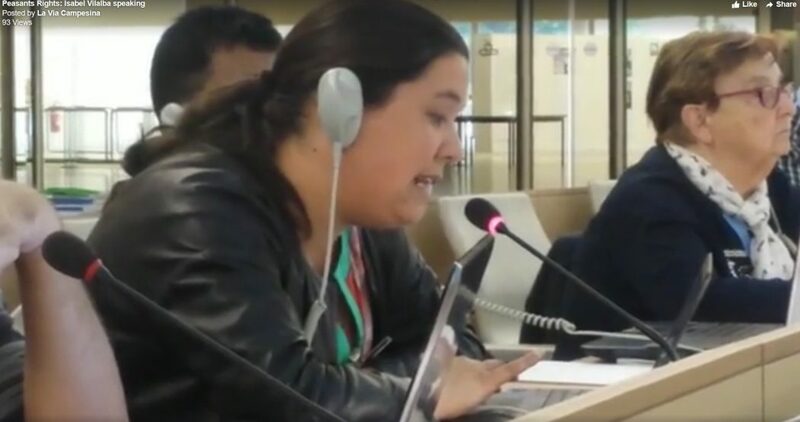 “Food Sovereignty embodies the identity of an individual and of a community,” declared in her intervention Aleyda Aragon, from ATC Nicaragua, member of La Via. 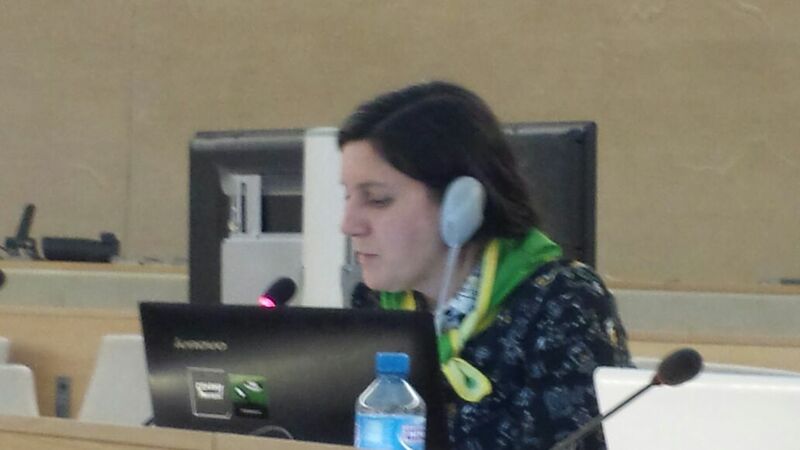 Ramona Duminicioiu from Ecoruralis , Romania, La Via Campesina : Why the right to food sovereignty is crucial for peasants in Europe and worldwide? “In agreement with the declaration of the Dominican Republic, yes, food sovereignty cannot be replaced by Food Security. First because Food Security already exists, and secondly because they are different from each other, they don’t mean the same thing, they are not addressed to the same rights. Food Security is about economic rights, and food sovereignty is about human rights. 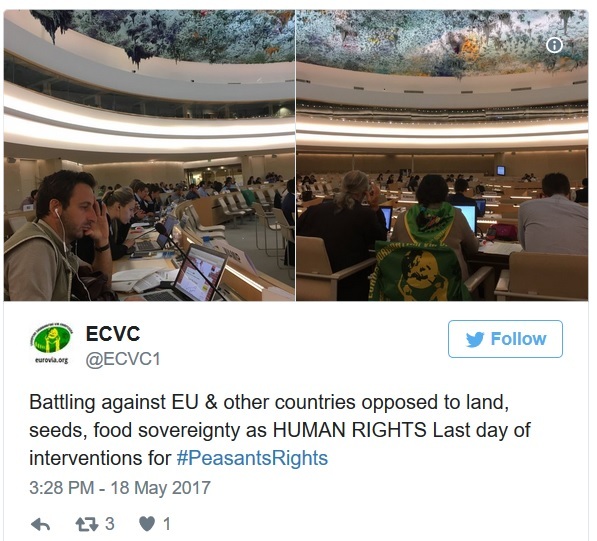 Peasants should have the right to define their own food and agriculture systems. Peasants should have the right to produce healthy and culturally appropriate food, through ecologically sound, socially just and sustainable methods. As we are aware of the concerns of governments about the relation between food sovereignty and the global market, this is the perfect opportunity for us to clarify one more time: food sovereignty is not against the global market. Food Sovereignty is a solution to rebuild local markets which have been deteriorated by the global market economy.” Read the complete intervention here. “It is the right to define its own policies and food together with peasants and other people working in rural areas. It prioritizes local food systems without preventing international trade. One of the central issues is the right to participate in the development of our public policies. Considering the food-related challenges that we will face in the future, it is essential to give every opportunity to the local agricultural systems most able to meet the needs of the populations. So far, several countries, mainly from the South have included food sovereignty in their national legislation. But without an opening of western countries to the right to food sovereignty, just and resilient, we will not be able to meet the challenges of the future!” Read the complete intervention here. 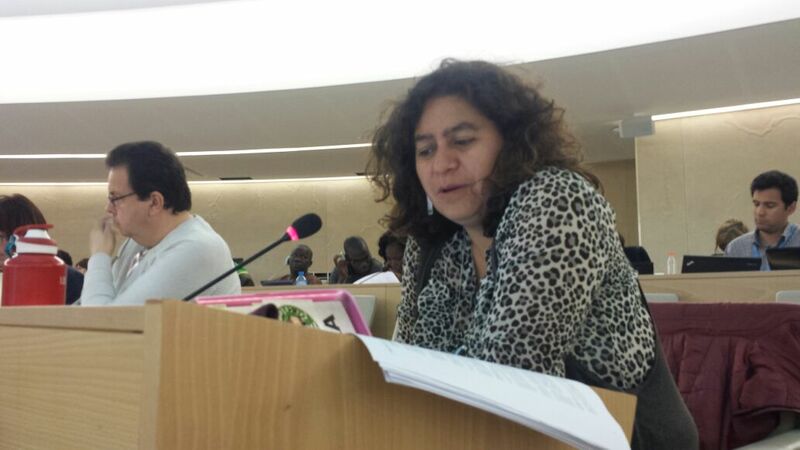 “We believe that the right to food sovereignty has always been there in our document. As humanity faced the huge challenges of the food crisis in 2008-2009, food sovereignty emerged as an alternative. Food sovereignty has been developed since 1996 as an alternative to food security and to respond to hunger and malnutrition in the world. We have witnessed that food security hasn’t been able to solve hunger and malnutrition as they were dramatically increasing when we suffered the 2008 food crisis. The international fora recognized food sovereignty especially in the World Food Summit 5 years later in 2002, and also during the UN High Level Meeting to respond to the 2008 food crisis . “[…]the added value of what comes out of the farm has declined, the volatility of markets has increased, the bargaining power of farmers has sharply decreased. Finally, public support for farm income is still strongly related to the size of the farm, especially the number of hectares cultivated. Unfortunately, these different trends have created poverty and agricultural precariousness, including in Europe, a source of deep feeling of abandonment and social and economic injustice in our countryside. The intense pressure towards low prices is harmful to our environment and our quality of life. Indeed, most farmers are self-employed and enjoy only a low level of social protection. You can find his complete intervention on Land here . 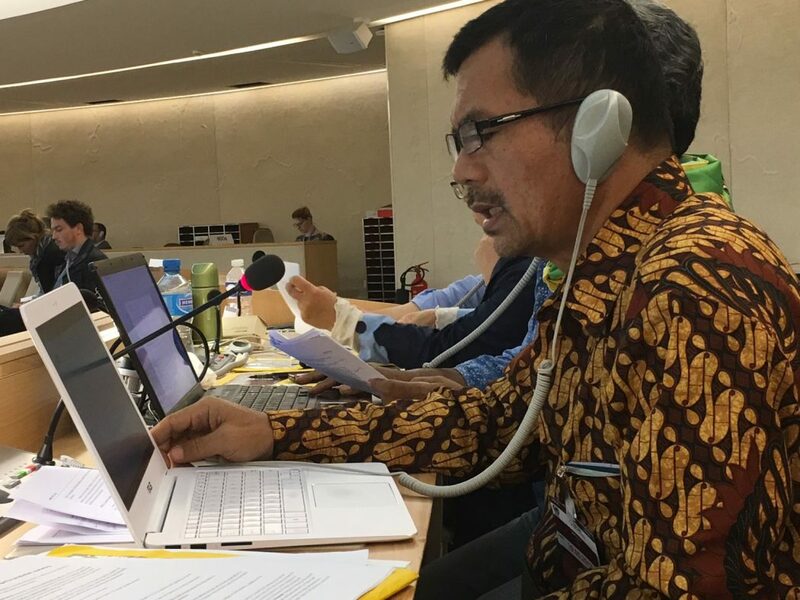 Ubai Fahmi Al Abudi of UAWC, Palestine, member of La Via Campesina, calls for agrarian reform and demands that UN and State representatives respect and reflect the interests of the People of the world and not of corporations, neoliberal ideology or free-market mechanisms. “These are our lands, our lives and the future of our children that we’re demanding“. “Peasants and other people working in rural areas have the right, individually or collectively, to conserve, maintain and sustainably use and develop biological diversity and associated knowledge, including in agriculture, fishing and livestock.” Peasant agriculture, not the agroindustry, can face global challenges like feeding the world and climate change, for this we need to protect biological diversity. 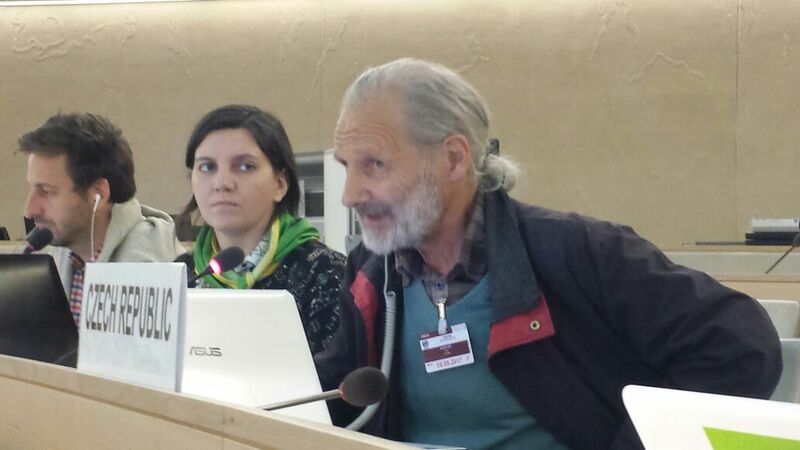 By vertu of this, the demand was made by our delegation, represented in this issue by Guy Kastler from La Confederation Paysanne – La Via Campesina that States, in accordance to the human rights conventions they have signed, to respect their obligations to prevent the depletion and ensure the conservation and sustainable use of biodiversity and genetic resources, among other things. Globally, just over 10% of agricultural products cross borders to be traded on the world market. Yet our agricultural policies are moving toward this goal rather than addressing the 90% of foods that are produced, processed, marketed and consumed in the region. Despite globalization, peasants, fishermen, agricultural workers, nomads and landless peasants all over the world initiate projects hand in hand with consumers. Sources of inspiration to value in our struggles to reappropriate our food. Is it not time to democratize our food systems and see how, at the local level, we can develop initiatives on the ground and public policies that encourage them? Organized by Uniterre, Alternatiba Léman, La Via Campesina, World Forum of Fisher Peoples (WFFP), World Alliance of Mobile Indigenous Peoples (WAMIP), TourneRêve, Supermarché Participatif Paysan (SPP), CETIM. 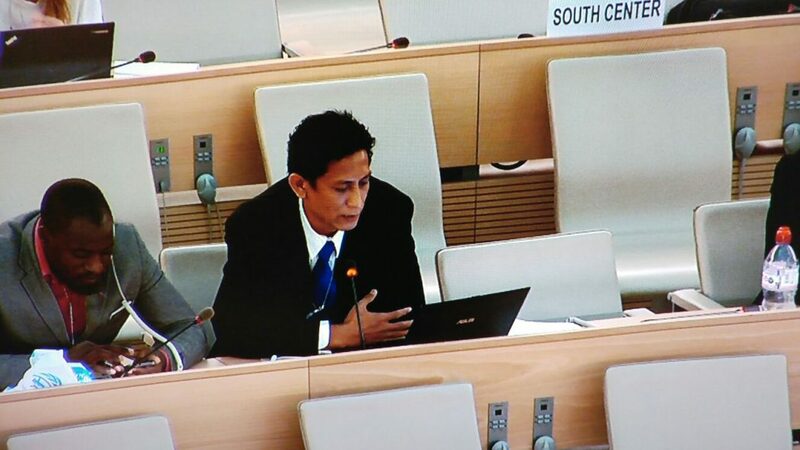 On the last day for interventions and comments on the text on behalf of civil society and States before the text is either approved or sent to another working group session, opposition was strong from the EU and other countries such as Guatemala, Japan and New Zealand who were unwilling to recognize land, seeds, decent income, food sovereignty and a safe and clean environment as HUMAN RIGHTS. Delegates from La Via and allied organizations expressed their views on the last articles of the #PeasantsRights Declaration, which touched on the rights to seeds, to housing, to social security, to education and cultural rights and traditional knowledge. Geeta Devarajan representing La Via Campesina’s South Asian movements, Guy Kastler from La Via Campesina Europe and Ndiakhate Fall from CNCR (Conseil National de Concertation et de Cooperation des Ruraux) – La Via Campesina member organization from Senegal, consecutively intervened in defense of this fundamental right for peasants that, under the expansion of agribusiness and the current state of trade and agricultural policies, has been severely set back. “A Peasants right towards Plant genetic resources namely seeds, seedlings and all reproductive system of plants is a fundamental right of a Peasant. A Peasant cannot be distinguished from his plants and crops and further to the seeds of his crops and plants. If a Peasant does not have the right to seeds it amounts to saying that human beings do not have the right to their off-springs. It is like taking away the reproductive right of a woman to say the least. Finally Guy Kastler addressed the suspicion expressed by certain states in regards to the scope of this Article. “Depriving peasants of their rights to conserve, exchange, use and sell their seeds, is an unacceptable attempt against human rights – The exchange of seeds between peasants is at the heart of the collective systems of conservation and renewal of local seeds which constitute the cultural identity of peasant communities.” At the same time, as a way to reassure skeptics he pointed out to the many different countries that currently allow the exchange of peasant seeds in their territory. 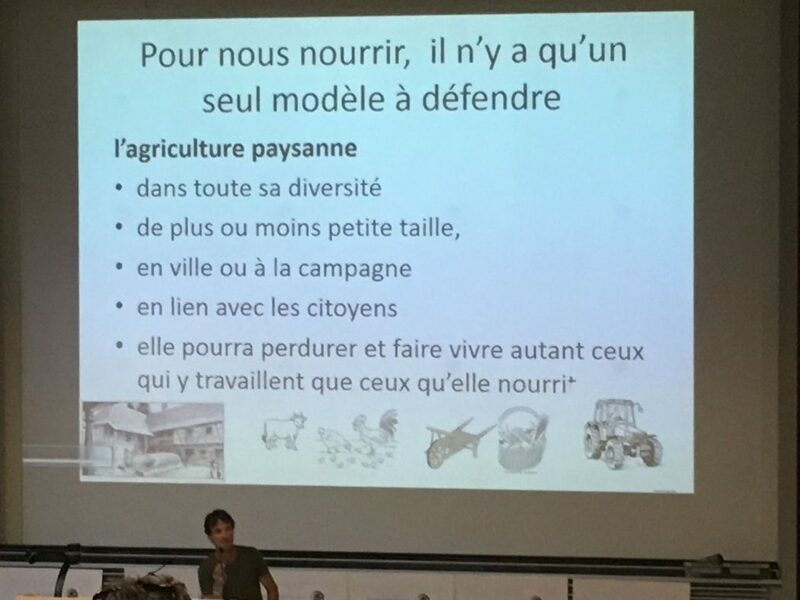 On the importance of the right to education and training for peasant communities and rural areas, Genevieve Savigny, French peasant from the European Coordination Via Campesina , shared the example of her region in France, of polyculture and sheep farming, where 40 years ago an elected official created a vocational school to help prepare young adults not coming from an agricultural background in their installation as peasant farmers. At the present moment the positive effects of this school, whose training approach stands on agroecology, can be felt in the region. New farmers have settled in the region, preserving employment and rural culture. While in the surrounding areas only 1 to 2 farmers remain, here the number of farms has remained nearly constant. Preserving their culture and traditions is vital for the existence of peasant communities. Ramona Duminicioiu from Ecoruralis , Romania, underlined this and pointed to the fact that peasant culture and traditions are often disregarded and marginalized by public policies who impose surrealistic and inappropriate sanitary norms -to name an example- not adapted to local realities. For this final article of the text, focusing on the way the Declaration will be promoted and its provisions carried out, Henry Saragih of Serikat Petani Indonesia, La Via Campesina had this to say: “It’s been contested by EU and Guatemala that we don’t need peasant participation on the implementation of this Declaration. We would like to underline the importance of participation of peasants and other people working in rural areas on issues affecting our lives. “This declaration is the tool we need to send out as a signal to our brothers, sisters, comrades and everyone in the world working in rural areas that they have not been abandoned by the institutions, not by States, not by the Capitals. We need to send out a positive sign. Particularly the EU. It dominates others because of the agricultural model that it exports. We have the responsibility to give hope to all those living in rural areas. 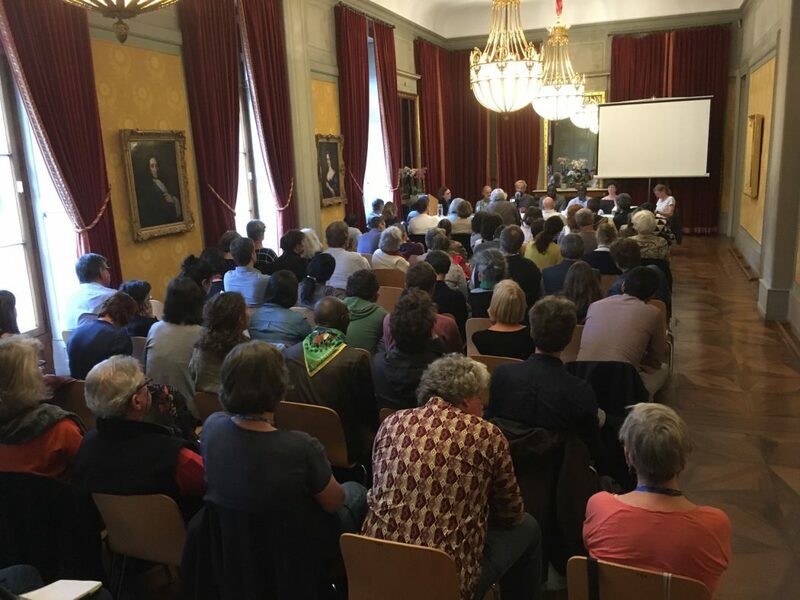 As part of the ongoing negotiations at the Human Rights Council on an International Declaration for the Rights of Peasants and other People Working in Rural Areas, the Geneva public has the unique opportunity to learn about the “right to seeds” from those directly concerned. Farmers and peasants are currently facing the conglomeration of three powerful actors, Dow-Dupont / Chemchina-Syngenta / Bayer-Monsanto, which hold 75% of the international seed trade. In this configuration, how do peasants and farmers organize to hold on to their right to peasant seeds? Organized by. : Uniterre, Pain pour le prochain, FIAN-CH, Swissaid Genève, Cetim. 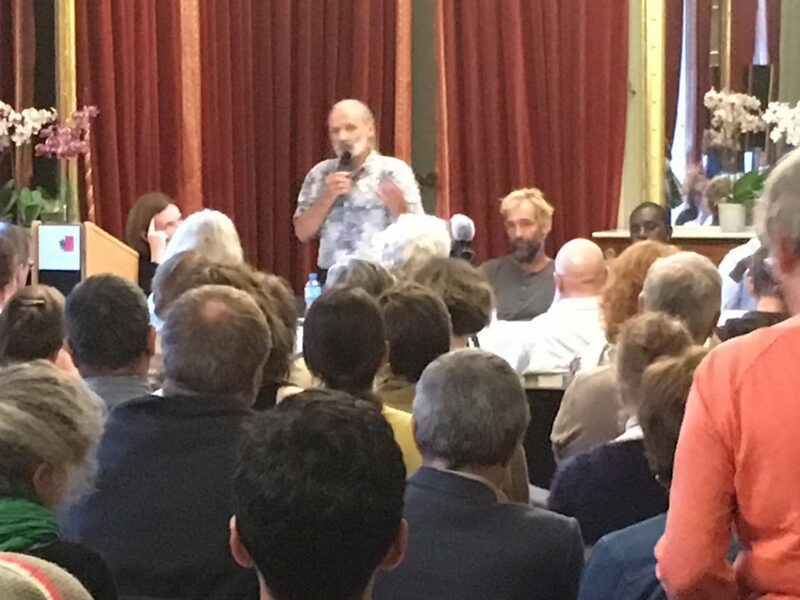 Partners: Action de Carême, Longo Maï, World Council of Churches- Ecumenical Advocacy Alliance, International Baby Food Action Network (IBFAN-GIFA), HEKS/EPER, etc. On the morning of the last day of this 4th Session of the open ended intergovernmental working group, as the Chair-Rapporteur -the Bolivian ambassador- prepared the report from these last 4 days of interventions and exchanges, La Via Campesina delegates along with allied social movements and civil society organizations prepared a joint statement addressing the working group. The statement was read in the concluding moments of the Session. An outcome of the discussions within the open ended intergovernmental working group, the decision was taken by the Chair-Rapporteur to foresee a fifth session of this working group and thus continue discussions with states, regional groups and civil society, on the basis of the proposals made during this session and the input received.